HTC is bring secretive these days when it comes to their upcoming device launches. Recently, the Taiwanese company stated that a surprise might be underway for all the HTC fans out there via their Facebook page. While many believe it to be a 128GB version of the HTC U Ultra, or HTC 11, if reports on twitter are to be believed, we might be gearing up for a different surprise altogether. Maximus ROM Developer, LlabTooFeR, who has really good hold all things HTC, has revealed via his Twitter handle that HTC might be unveiling a new device, dubbed the HTC Desire 650 Dual SIM. 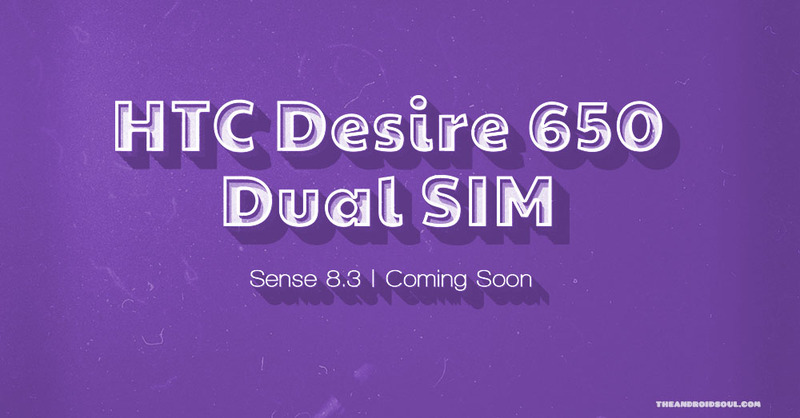 It would be worthwhile to mention that HTC Desire 650 is already available in UK, with an entirely different set of specs than what is rumored for Desire 650 Dual SIM, hence we recommend our users to take this news with a grain of salt. While there are reports that the device will not be developed in-house by HTC (it’s an ODM device), the device is rumored to include a MediaTek chipset along with Sense UI 8.3 on-board (HTC’s implementation of Nougat), which seems to be a modification to the Sense 8.0 UI. Codenamed the A37, the device may very likely be an Asian market exclusive pertaining to its unique specifications and the availability of a dual SIM model. Another interesting bit of information is that the ‘Sense 8.3’ will likely be an exclusionary software implementation (which could possibly include bloatware and/or further customization for all we know) and will not be available for porting to other HTC devices. All in all, with the specs of the device being kept under wraps all we can say is that the Desire 650 Dual SIM will most likely be a midranger and could grace the market in Q2 2017. Stay tuned for more updates about the device.